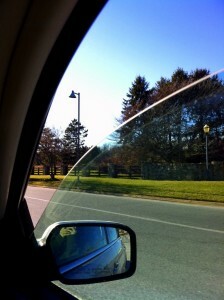 It was a gorgeous day, too gorgeous to experience in the confines of a car. I rolled the window down part way…and then rethought my decision after immediately experiencing the wind and the noise that resulted. Defeated, I rolled the window back up…and learned something new. Fairy GodBoyfriend: Did you fart? FGB: You rolled the window down and back up again. That’s what guys do when they fart in a car. You know, I’ve seen people roll car windows up and down my whole life, and it has never occurred to me that there was a common cause. What an innocent little princess I am. I’m not sure I ever gave much thought as to a cause at all. Now, every time someone rolls down a window, I’m going to be suspect. I do love these little epiphanies. This entry was written by Princess Alethea and posted on December 28, 2010 at 8:30 am and filed under Emerald City, Family, life, New Things. Bookmark the permalink. Follow any comments here with the RSS feed for this post. Bahahahaaaa! That is hilarious on so many levels. i wonder what FGB’s response would have been if you’d answered his question with a “yes”? thanks for sharing your epiphany–i never knew that guy code either! I’m surprised you didn’t learn that from your Dad. That’s where I learned it!